Surround sound was yesterday – it’s time for surround view! 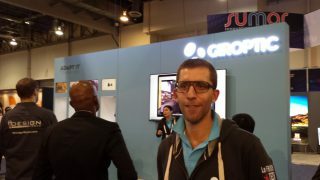 Giroptic presented the 360cam at the CES with videos soon uploadable and shareable via YouTube. What could be cooler than that? Displaying the videos on a spherical screen! 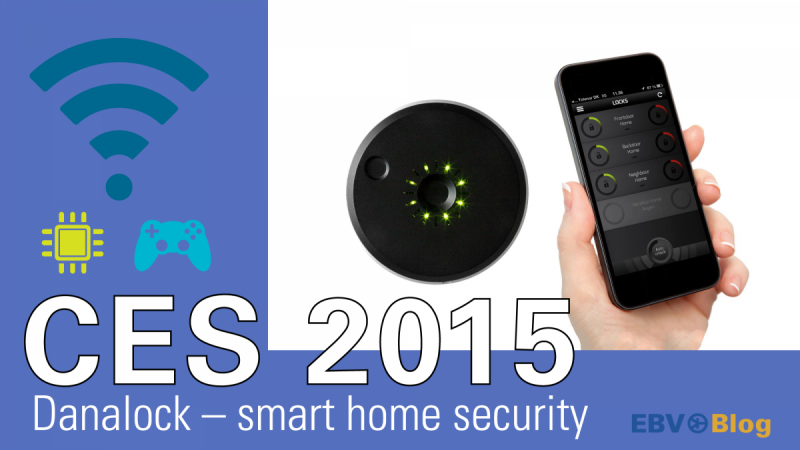 Watch the video below which we captured at the CES in Las Vegas yesterday – purely awesome! 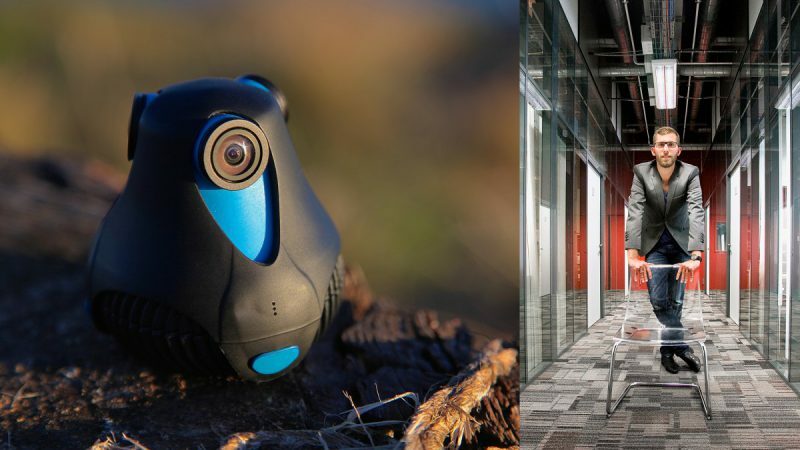 Giroptic, a french based start-up which raised $1.4 million on Kickstarter has created the most flexible, small and complete 360 degree camera we have seen so far. The device is able to capture stunning surround view pictures with 4k resolution and crisp full-HD videos with 2048×1024 at 30fps. 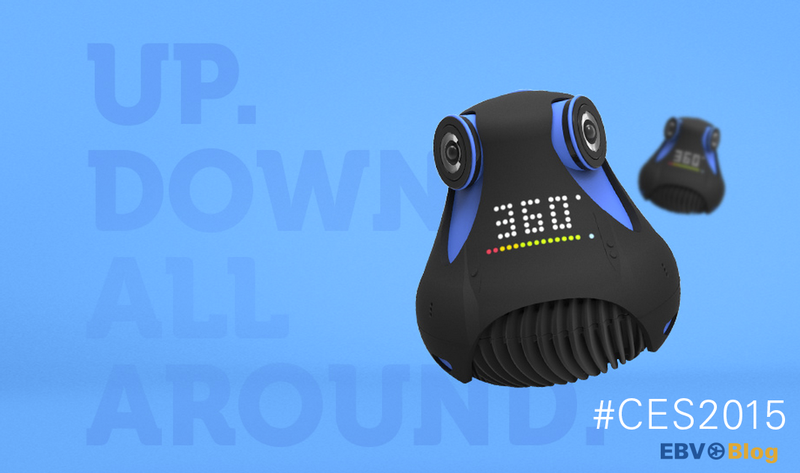 The 360°x300° field of view is realized with three 185° fisheye cameras on top of the device. The camera is further equipped with Wifi for video streaming and remote control via an app and three microphones for surround sound. The camera can be fitted with different adapters starting with the standard baseplate allowing you to mount it on common camera tripods. Want to make a time-lapse of your next house party? Switch to the light bulb mount which lets you stream the content directly over wifi while the camera is powered by the power socket of the light. Want to stream content without wifi? There is a power-over-ethernet mount for that! 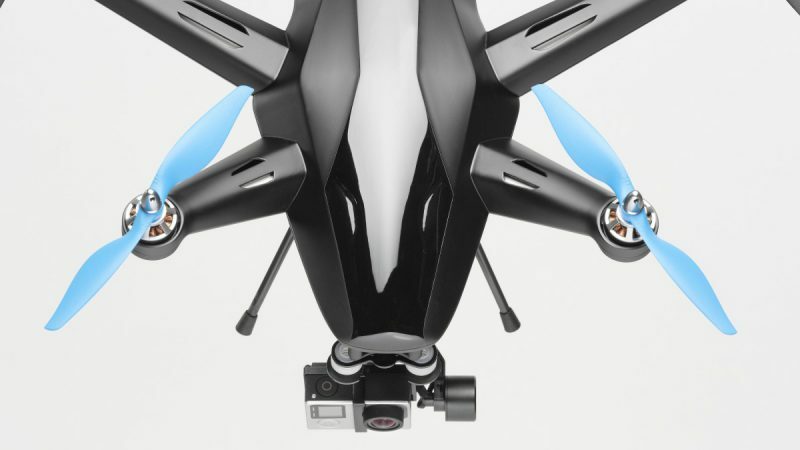 CES 2015 is packed with drones… maybe there is something in the air in this direction! watch and share the 360° content? Well, the company of Richard Ollier (in the picture) has already a solution: YouTube will support the videos captured with the 360cam and is currently working on support for 360degree videos in general. Google will also support the videos uploaded to street view in the future. You want to dive in the videos completely? Good news, 360cam is compatible with Oculus Rift! With these new sharing and viewing options the rugged, waterproof camera might be a real opponent for GoPro cameras; pricing is also comparable with $499 in the online shop. Not convinced this is supercool? Watch below! 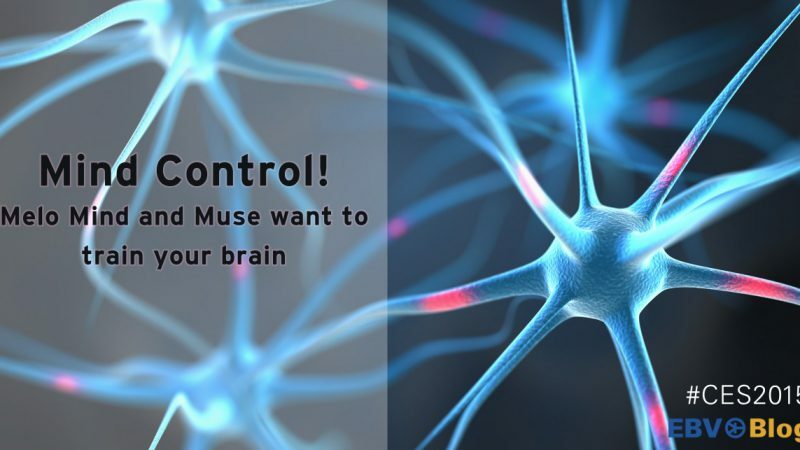 Train your Brain with Melo Mind and Muse!